Starting this Sunday at 5 pm, Carlos Kalmar, Oregon Symphony's music director, will talk about conducting on a new radio show at KBPS (89.9 FM). "Kalmar, who began studying at the Vienna Academy of Music at age 15, will draw from his life’s work to examine and discuss both the art and science of conducting a modern symphony orchestra. After an initial episode that explores the birth of the “star conductor” late in the 19th century, each succeeding show will focus on one individual conductor among the pantheon of 20th-century greats, mixing anecdotes with historical stories and comments." In Mulieribus just released their second CD on October 3rd, a compilation of live recordings spanning 4 years. I have written a review of it here at Suite101. A big congratulations to Doug Beavers and his Jazz Baby album, which has made it onto the list for the Grammy nominations in the Best Musical Album for Children category. This recording features the drumming wizardry of Steve Moretti, husband of former OSO concertmaster Amy Schwartz Moretti. I wrote about the album for Downbeat magazine last year. See this posting. Click here to go to the Jazz Baby website or click here if you want higher-quality sound. I'm one of 23 journalists who have been selected to attend the 2008 NEA Arts Journalism Institute at Columbia University in New York City. From November 8th to the 18th, I'll be attending lectures and concerts and doing some writing, which will be critiqued by faculty members of the institute. Past fellows from Portland have been Grant Menzies, Angela Allen, Brett Campbell, and Stephen Marc Beaudoin. Here's a link to the NEA press release about the institute. I'm really looking forward to this experience and learning more about classical music. Dana Carlile, composer, local historian, and one of Portland's most eclectic individuals, will give an interesting lecture and visual documentary about the life and times of Portland violin virtuoso Susie Fennell Pipes and the story of the Neah-Kah-Nie String Quartet. 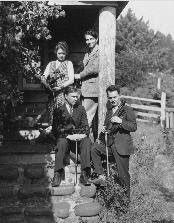 This lecture surveys Portland chamber music in the first half of the 20th Century includes Susie Fennell Pipes' most significant colleagues including violinist and conductor Theodore Spiering, cellists Ferdinand Konrad and Michel Penha, violists Alexander Vdovin and Abraham Weiss and violinist Hubert Sorenson. The Library has posted this lecture here. CD Baby carries a recording of the music written by Ferdinand Sorenson (father of Hubert Sorenson and grandfather of Dana Carlile) and a more complete description of the quartet. Click here for more information. Gabriela Montero has a new twist to the piano recital format. The Venezuelan-born virtuoso loves to take requests from the audience and then improves a piece based on the suggestion. So, Montero bantered with listeners and responded at the keyboard in her own unique way at the Newmark Theatre on Sunday afternoon in Portland as the second artist to appear this season in the series sponsored by Portland Piano International. More akin to performing in a salon rather than a hushed recital hall, this all-improv concert (recital isn’t the right word) started with Montero, microphone in hand, explaining why he enjoys improvisation. She told us how she regularly performs 50 to 60 concerts a year (mostly in Europe) and that, while gratifying, the constant grind leaves her feeling a little like a well-trained monkey. At an extremely young age, she liked to improvise on the piano and found that improvisation is still a terrific way for her to find more meaning in music and achieve intimacy with the audience. In order to prepare us for how her improvisations work, Montero read a poem by Pablo Neruda entitled “I like for you to be still,” and then turned to the keyboard and played a very pretty and lyrical piece that she made up on the spot. Following a polite round of applause, Montero turned to her listeners and asked some one or more of us to sing a fairly well known tune, and she would then improvise. Someone declaimed “The Promenade theme from Pictures at an Exhibition.” Another person sang the phrase, which Montero repeated on the Steinway. After she composed herself for a moment, she started playing a delightful Haydnesque minuet. That put a smile on most people’s lips, and they responded to the piece with enthusiasm. Next, someone demanded Beethoven’s “Ode to Joy” and the tune emerged from the audience. After trying it out in several keys, Montero became quiet and then gave us a flowery Liszt-like fantasy. Somewhere along the way she changed everything to a Latin-salsa or tango – which was very playful and also earned a boisterous appreciation. Montero then took a “Happy Birthday” suggestion and put a bouncy honky-tonk ragtime spin on it. Afterwards came the Shaker hymn tune, “Simple Gifts,” which was unfamiliar to her. Yet again, after trying it out in several keys and tempos, Montero took a brief moment of reflection and dived into a improvisation that began simply and gradually become more complex. I thought that I head a little bit of Mussorgsky-ness in it and a lot of charm. For the next-to-the-last number, audience members abandoned singing anything at all and shouted out everything from “Greensleaves” to “God Bless America.” A loud voice rang out with “La Cocoracha,” Montero didn’t have to wait for anyone to sing a note. She gave us lively rendition of that Latin-American tune. She then ended the concert by reading Jorge Luis Borges’ “Instant,” a poem about living one’s life differently, and playing a final, heartfelt improvisation. Montero’s performance was more in the line of what Mozart or Beethoven or Liszt could do. They could improvise at the drop of a tune in a bucket and that was not big deal to them. It’s unfortunate that so much of music-making in the classical world has lost this talent. Of course, organists, especially in Europe have kept the tradition of improvisation at the forefront of their artistry. It’s great to experience a pianist of Montero’s caliber reinvigorate improvisation. I have heard Robert Levin and Jeffrey Kahane improvise in concert. That kind of playing can do a world of good – especially in connecting with younger audiences. I hope that Montero can return to Portland some day soon to provide another round of impulsive music. The Oregon Shakespeare Festival will report losses of $750,000 for this season. The Britt Festival has lost $500,000. KGW has a short notice about these figures here. Also, the Oregon Shakespeare Festival has also just announced that they are going to cut their 2009 budget by $1 million. Here's a link to the OSF press release regarding this matter. Seattle Opera’s production of Richard Strauss’ “Elektra” is gripping, in-your-face, and very loud. From the opening curtain which split in half to the final Totentanz of Elektra as she celebrated the death of her mother and stepfather, the audience on Wednesday evening at McCaw Hall received nearly two hours of unrelenting, dark drama, and it was all outstanding. Janice Baird, making her Seattle debut in the title role, completely embodied the half-crazed woman who was completely consumed by vengeance for the murder of her father, Agamemnon, King of Mycenae. Combining her very powerful and expressive soprano voice with committed acting, Baird’s Elektra commanded the stage, striking fear in the hearts of anyone she felt was against her. Baird hit all sorts of difficult pitches spot-on and with artistry, Baird’s singing was thrilling – even when she sang about slaughtering her mother and stepfather. Mezzo-soprano Rosalind Plowright delivered a superb Klytämnestra, baring her conflicted personality like a wounded animal. Together with her lover Aegisth, Klytämnestra killed her then husband Agamemnon some years before the action of this opera began, and they took over the throne. Plowright’s Klytämnestra is so riddled with nightmares that she can barely walk and gives everyone the heebie jeebies after she removes her oversized, decadent crown to show how much hair she has lost. Yet, after she receives news of Orest’s death, she is reinvigorated and finds the will to live. As Orest, the banished brother of Elecktra and Chrysothemis, Alfred Walker’s forceful baritone was solid as a rock. Richard Margison made a credible Aegisth, but the part is so short that it’s difficult to say anything more. The four maids (Cynthia Jansen, Sarah Mattox, Melissa Parks, and Emily Clubb) and their overseer, Mary McLaughlin, helped to set the tone of the story with their mocking of Elektra. When the fifth maid, Eleanor Stallcop-Horrox, showed empathy for Elektra, the other maids turned against her, dunking her head in a bucket of water that they had used to clean the alter of the blood of people that Klytämnestra sacrificed in order to get rid of her demonic nightmares. The Seattle Opera orchestra played outstandingly throughout. This symphonic opera and can almost stand alone on the concert stage. The brasses, strings, woodwinds, and percussion were masterfully led by Lawrence Renes, who conducts a lot in Europe and is getting more gigs in the US. Wolfram Skalicki’s dark and bleak set, last used by Seattle Opera in 1996, was enhanced by the expert lighing of Marcus Doshi. The mixture of modern and ancient costuming also worked well. Impressive especially were Klytämnestra’s retinue of sycophants in their garish modern, red numbers. At the very end of the opera, after the killing is over and Elektra dead, Orest shuts the doors on Chrysothemis, giving the impression that the family saga is still not over. Remaining performances of “Elektra” take place on October, 25, 26, 29, 21, and November 1. Seattle Opera is offering a Halloween special: operagoers who arrive in costume for the Friday, October 31, performance of Elektra can receive one free ticket to the evening’s performance, with the purchase of a full-priced ticket. As you may know, I was able to spend almost three weeks at the Oregon Bach Festival this summer participating in what is known as the “Conducting Master Class.” This was an opportunity for me to learn from maestro Helmuth Rilling, professors Tom Davis (CalPoly) and Tim Sawyer (Northwestern, Minneapolis), and conductors such as Anton Armstrong (St. Olaf) and Nicholas McGegen (Philharmonia Baroque, Berkeley), as well as members of the orchestra and chorus. It was an amazing experience. The main focus in our conducting classes was an examination of J.S Bach’s St. John Passion. We took it apart pretty much note for note and word for word over the course of 12 hours without Rilling, then another 20 hours with the maestro. We also worked on two Bach concerti and the Orchestral Suite in B Minor with Nicolas McGegen. The study of the St. John was particularly meaningful for me, since it was (and now really is) one of my favorite works – and a work that I thought I knew well. However, when Rilling began to show us all the symbols, motifs, etc. we quickly realized that what most of us knew about the work only touched the surface! 1. Chorales: Rilling believes that the chorales were hymns sung by the people, and they should be sung in a very straightforward manner. Different dynamics are fine, but crescendos would have been too “fancy” for the congregation. Unlike some scholars, he firmly believes the chorales were sung by the congregation. I’m so proud that our Bach concerts featuring singing by the congregation. 2. Continuo: We had many sessions with the continuo players. In church cantatas, cello, bass, maybe bassoon, and positif organ are used. Harpsichord is not used in church cantatas, but it is used in chamber pieces. String Bass almost always doubles cello, even in recitatives, unless bassoon is used instead of cello – then bass doubles bassoon. OBF bass players all have extenders, because Bach apparently had a 5-string bass. Bassoon is used instead of cello if the movement has all double reeds (i.e. last year we had some 3 oboe pieces – bassoon would then be used, doubled by the string bass, with the positif organ). Bassoon and cello never play together (except in final chorales) unless Bach actually wrote distinct parts for them. 3. Recitatives: Rilling’s style right now (but not always the case in many of his recordings) is as follows: Recitatives are accompanied “secco” – meaning that the cello, bass, and organ hold the notes (or chords) for only 1 quarter-note, no matter what the actual value of note is in Bach’s score. This is done so that the congregation can hear the words better, especially in churches with significant ring-time. An interesting note is that all the cantatas written before Bach moved to Leipzig (1723) had recitatives that end with an arioso – but Leipzig cantatas have recitatives without ariosos. 4. Vibrato: The OBF chorus uses some vibrato – and frankly in my opinion it sometimes gets in the way. When that happens, the choir directors simply say “no vibrato” for this passage, and voila – the problem almost always goes away. The strings play with very little vibrato – and sometimes with none at all. 5. Phrasings: I was surprised by some things I heard. The chorus was asked to articulate (almost with “h’s” or tonguing), much more than I would have expected. This was really true on the “Sanctus” of the B Minor Mass. Many times words were totally split and even stopped in the middle – on the “Crucifixus” of the B Minor Mass, it was definitely, “Cru…Chi…fi-hix-hus”. I’m not sure I like it this way, but from time to time this year, I may experiment with tonguing or more articulation. NOTE: Both James Bash and I are singing in the BCC's inaugural concert of the '08-'09 season this Sunday, October 26, at 2pm at the Rose City Park Presbyterian Church on 44th and NE Sandy. Silent Auction begins at 130pm, and ends at 4pm after the concert. Portland has of late been blessed with its sixth contemporary music group—Beta Collide—founded by Grammy Award-winning flutist Molly Barth (former member of Eighth Blackbird) and trumpeter Brian McWhorter (of the Meridian Arts Ensemble). Beta Collide, though currently based in Eugene, presented its Portland debut concert on Friday evening (17 October) at the atrium of the White Stag Building. Word is out that this talented ensemble is planning to do concerts on a regular basis in the Portland metro area. To date the most prominent contemporary concert hall music ensembles in Portland have been Fear No Music and Third Angle. The eighteen-year old organization Seventh Species, which moved its base of operations from Eugene to Portland three years ago, has long been the only concert series of its kind in Oregon featuring music primarily by local and regional composers. Since 2006 composer Robert Priest has imported his Marzena series from Seattle, and has attracted a wide following of new music aficionados. Aside from Beta Collide, the other “new kid on the block” is Cascadia Composers, an official chapter of NACUSA (National Association of Composers USA, founded by Henry Hadley in 1933), which is scheduled to give its inaugural concert of chamber works by seven of the region’s most distinguished composers on March 13th, 2009 at the Old Church. At this point in time, I cannot help but marvel that Portland (despite its cultural inferiority complex) has what might be considered a “vibrant” new music scene, though it still has a long ways to go before it can be on a par with cities like Boston or New York. This will only happen when the powers that be open their coffers to local rather than imported talent. Friday’s Beta Collide concert had originally scheduled Luciano Berio’s Sequenza III for soprano (written for his wife, the inimitable Cathy Berberian) to be performed by baritone Nicholas Isherwood who, disappointingly, was taken ill with laryngitis. Isherwood was also scheduled to sing another work by the Hungarian György Kurtag, a composer who has risen to international prominence over the last twenty years and who studied composition with the same teachers as his student colleague and compatriot György Ligeti. Instead, we were treated to a tongue-in-cheek solo trumpet work by the American Robert Erickson entitled Kryl (named after the circus acrobat and cornet master Bohumir Kryl), which demonstrated a vast array of pyrotechnics, including glissandos insterspersed with hums, screams, and various fart-like sounds. Brian McWhorter played this piece with matchless verve and gusto. Another solo work was Eliot Carter’s Scrivo In Vento for flute, which had rapid alternations of high screechy, pointillistic figures and slow languishing moments, and was played with panache by the supremely gifted Molly Barth. The other solo pieces presented were Lutoslawski’s Sacher Variation (1975), expertly rendered by cellist Justin Kagan (who is a prominent fixture in many music venues throughout town) and a work for solo trumpet by the quirky composer Mark Applebaum of Stanford University. While the solo works were rigorously precise in their notational directives to the performers (the notation in the Applebaum bears some resemblance to the ultra complex scores of his colleague at Stanford, Brian Ferneyhough), the three folios composed in the early 1950s by Earle Brown were either graphically or semi-graphically notated (i.e., with black rectangles of various sizes and/or multiple staves with waves, etc.) and thus required ultroneous improvisatory gestures from the performers. Occasionally I noted that the musicians did not actually have their eyes on the scores while performing the music represented thereby, which made me wonder if they had “memorized” the rectangles, waves and squiggles (?). Notwithstanding, they pulled off the folios with wit and aplomb. One element that lent distinction to this concert was that extremes of anally precise notated works on the one hand were presented side by side with representations of a sort of blasé indeterminacy on the other: Uptown meets downtown. The concert was divided into four segments, the first three of which consisted of the aleatoric pieces seamlessly segued into the more academically severe solos. At one point this reviewer lost track of what piece was being played—which didn’t seem to matter. The repertoire presented, all in all, had very little meat on the bone, and while I can’t fault the performers for the conviction of their interpretations, I might suggest that if it is their intention to be “unconventional” or “cutting edge,” they might consider throwing in some less run-of-the-mill items. I, for one, would be delighted to hear more works by lesser known—albeit infinitely more talented—composers like Joseph Fennimore (who has yet to be “discovered”), the late Gottfried von Einem (the Austrian composer whose revival is long overdue and who is doubtless destined to attract a following on the scale of Korngold’s or Mahler’s in the near future), Tison Street (one of Boston’s notable talents), Henry Martin (perhaps the greatest contrapuntist alive today), Hsueh-Yung Shen (a Boulanger-trained eccentric who apparently does very little to advance his cause), or Noam Elkies (the Harvard mathematician who is the youngest person ever to have received tenure at that institution and who at the same time is one of its brightest musicians), to name a few, or even works by such luminaries as, say, Ligeti, Rochberg, Rzewski, Del Tredici, Schnittke, Tsontakis, or Currier. I remember hearing Del Tredici express to a symposium of younger composers at the Bloch festival some six years ago his observation that there is a pervasive indifference to harmony amongst the vast majority of today’s composers—a criticism that could aptly be applied to the works presented on Friday evening by Beta Collide. Suffice it to say that I did not come to this concert expecting to be served Wienerschnitzel and Schnapps. The serving was more akin to a plate of cilantro garnished with nettles. More schmaltz sil vous plait! Last night at the Schnitz, the Oregon Symphony traversed through Europe, Mexico, and South American in a musical caravan that featured an intriguing mix of pieces by Smetana, Grieg, Golijov, Revueltas, and Ginastera. In talking about the program from the stage, music director Carlos Kalmar acknowledged that the first half had nothing to do with the second. Yet by the end of the evening, the exceptional playing of every piece by the orchestra under the baton of Kalmar demonstrated that these musicians can play the pants off of whatever music is tossed their way – no matter which continent the music came from. The concert began on a somber note. Just a couple of weeks ago, Ken Baldwin, assistant principal bass, passed away. In memory of Baldwin, the orchestra played the second movement from Beethoven’s Third Symphony, “The Eroica.” The musicians performed the music exquisitely. I sat five rows from the first violins, and they played as if they were one person. The unified sound in the Beethoven seemed to set the tone for the entire concert. Starting with Smetana’s symphonic poem, “The Moldau,” the musicians took us on a magical trip along this river, which courses through the Czech Republic. It would be easy for the orchestra to chill out and coast on this beloved number, but they didn’t. Instead they gave us a journey to remember. Whether smooth and lyrical or splashy and energetic, the music was all wonder and delight, making it easy to picture each scene along the way. The woodwinds, in particular, deserved extra praise for their seamless playing. Next on the program came Grieg’s Piano Concerto with guest soloist Valentina Lisitsa. According to the program notes, Lisitsa, is a Bösendorfer artist, so a huge Bösendorfer piano was brought in for this performance. I think that it was an Imperial Bösendorfer, because I confirmed with the stagehands after Lisitsa’s performance that it had the extra octave. In any case, it looked like the largest piano that had ever been placed on the stage at the Schnitz. Yet the size didn’t matter, because somehow Lisitsa got the softest sounds out of this incredible instrument. Lisitsa has one of the most graceful techniques at the keyboard that I’ve ever seen, and her fluid style is just perfect for the Grieg. Yet she could pounce on the keys whenever fortissimos were needed, and cut through the orchestra. Her whole body bounced along with the lively passages in the third movement, and she showed a wonderful touch in executing changes in tempo and in changing the mood of the music. The orchestra played marvelously throughout, adding color and texture to Lisitsa’s brilliant interpretation. After intermission, the orchestra performed Revueltas’ “Homenaje a Federico Garcia Lorca” (“Homage to Lorca”), a tribute to the great Spanish playwright and poet. The vivid trumpet call, played by principal Jeffrey Work, in the first movement had a wild flavor and was followed by a busy, rhythmic drive from the entire ensemble before escalating into a series of cat-calls – like kids taunting each other. The sorrowful second movement contained mournful, forlorn sounds, especially from the trumpets and from the tuba, play expressively by principal JáTtik Clark. In the third movement, the ensemble cut loose with Mariachi-like music and the finale was a wonderful mad dash to the finish. Next on the program came Golijov’s “Last Round,” for two string ensembles. The music had an edgy quality about it, verging on a tango or a least evoking the intoxicating atmosphere of a tango with legs and bodies entangled and then separating and then coming closer again. At one point in the piece, the ensemble began to gallop at full speed, yet I could hear all sorts of precision playing. It was really virtuosic stuff. I recall a gigantic glissando before everyone settled into a quiet, still pond. That was followed by a melody from “My Beloved Buenos Aires,” a beautiful, brief exposed passage for concertmaster Jun Iwasaki, then pulsating basses – all of which evoked the music of Piazzolla. The full orchestra reassembled itself for the final work on the program. Ginastera’s Suite from the ballet “Estancia.” The sound in the four dances of this suite ranged from full-blooded, straight-ahead and rhythmically driven to carefree and life-is-simple. The orchestra sounded terrific in each dance, and the final number (a malambo) was riveting. Orchestra members moved their bodies to its unrelenting energy, but Jennifer Arnold (who I think played this number under Gustav Dudamel in the Youth Orchestra of the Americas) had the most body English and twirled her viola perfectly at the very end. Ryu Goto played the heck out of Paganini's First Violin Concerto and then added Paganini's "Caprice No. 24" as encore. It was quite the show. I've got a review of the concert in today's Columbian here. The concert repeats this evening at 7 pm. On Friday, October 17th at St. Mary's Cathedral, Portland's renowned Cappella Romana delivered a magnificent performance of sacred music from the Ukrainian tradition. On a balmy mid-autumn evening, they sang a concert entitled "The Heart of Kiev" under the direction of a long-time collaborator: guest conductor and Slavic music expert Mark Bailey, who sits on the faculty at St. Vladimir's Orthodox Seminary in New York. Bailey noted that he grew up in the Ukrainian church, so his direction had a distinct feeling of authenticity and unfeigned reverence that added meaning to Cappella Romana's expert display. The concert began with several examples of Kievan chant, which is at once simpler and more folksy than the more familiar (to us) Gregorian chant, or the Znamenny chant of the Russian Orthodox tradition. Cappella Romana has an amazing ability to sing pure, synchronized unisons, a must for a group working in this field. At times the tenors and basses sang alone, and at others men and women sang together, the multitude of voices sounding like one instrument with complex, multi-colored timbres throughout. From there on they sang a series of works that described a chronological progression in Ukrainian music from the medieval chant through the early years of the 19th century. In "Praise the Name of the Lord" by Nikolai Diletsky (c. 1630-1680), the choir followed Bailey's detailed, expressive direction with rapt focus. This work was difficult and frenetic, requiring almost instantaneous changes in pacing and mood, and Cappella Romana never lost concentration for a second. The sure-footed Bailey shepherded the singers through these myriad changes, resulting in an extremely tight performance: no phrase, short or long, no matter the dynamic, ever wanted for direction, intensity or shape, The first half finished with works by Maksim Berezovsky (1745-1777) and Artemy Vedel (1767-1808,) both of whom had imported Italian influences into the Ukrainian sacred tradition. The entire second half was devoted to music by Dimitry Bortniansky (1751-1825.) In some respects this moved away from the denser, Baroque-style polyphony of the earlier works. It required different techniques from the choir, and they responded accordingly. All through the evening they ably articulated the difficult consonants and broad, rich vowels of Slavonic diction, but in the heart-achingly sweet lullaby "How Glorious," they sounded like one solitary living creature, the expansion and contraction of the music coming as naturally as breath. There are few things more exciting in music than to hear such long, sustained pianos sung with such subtlety and unity. This choir did everything right from a technical standpoint: breath support, entrances, exits, blending. All the pieces of the puzzle were there. The bass section especially was rich and sonorous. Slavic choirs are known for the strength and depth of their basses, and the Cappella Romana certainly lived up to this tradition. Their mastery of the craft of singing ancient sacred music is brilliantly obvious, and Mark Bailey's deeply informed leadership brought out the best that this amazing group has to offer. It is a wonderful gift to experience musicianship at this level: a keen, thorough understanding of what the music is trying to say, coupled with the ability to articulate that vision precisely. That is exactly what Mark Bailey and the Cappella Romana did Friday night. They will sing this concert again tonight, Saturday the 18th, at the Town Hall in Seattle, WA. Mezzo soprano Hannah S. Penn, one of the very talented members of the Portland Opera Studio Artists program, is giving a recital this Sunday, October 19 at 7 pm at Sherman Clay Pianos (131 NW 13th Ave). Ryo Goto, Midori's younger brother, will be the featured soloist with the Vancouver Symphony this weekend. I wrote a preview of the concert for The Columbian. You can find it here. Good news for those who are curious about how Oregon Symphony ticket sales are going. The Symphony has crossed the $5 million Rubicon way faster than last year. And last year, despite increasing ticket sales over the year before, the Symphony still managed to lose over $600,000. At the 2007 annual meeting (click here for that report), Walter Weyler, board chair, said that the Symphony has to break even during the 2008-2009 season because of the heavy deficit that they are still carrying. So, with a jump start on this season (and ticket sales only account for part of the budget income), the Symphony is looking in pretty good shape... so far. "Amid signs of a continuing rebound at the box-office, the Oregon Symphony today crossed the $5 million mark in ticket sales for the 2008/09 concert season, hitting that significant milestone three and a half months earlier than it did last season. As of this morning, the total number of tickets sold for the 78 performances in the current concert season stood at 110,013, with total ticket revenue of $5,000,747. Last year, by Oct. 15 the orchestra had sold 94,102 tickets for its 79 performances, with revenues of $3,934,878. This season’s sales represent increases of just under 17 percent in the number of tickets sold and 27 percent in ticket revenue over the same period a year ago. Ticket sales thus far represent 51 percent of capacity for the entire concert season, a number that’s significant for the orchestra because two seasons ago total paid attendance for the entire season was 54 percent of capacity. That figure rose to 62 percent last season, and the orchestra’s goal for the current season is paid attendance of 70 percent. Crowds at the Oregon Symphony’s performances at Arlene Schnitzer Concert Hall have been noticeably larger since the 2008/09 season began in early September. For the 10 concerts performed so far, the orchestra has played to audiences averaging 81 percent of capacity. Last season the orchestra didn’t reach the $5 million milestone until Jan. 30. When it did, it marked the first time the Oregon Symphony had exceeded $5 million in ticket revenue in four seasons." The noted American pianist Richard Goode was in town earlier this week to launch Portland Piano International’s 30th anniversary season with a pair of recitals at the Newmark Theater. A relatively small crowd showed up to the second of the two on Tuesday evening, which featured works by Bach, Chopin, and Schubert. Turnout at weekday concerts can be notoriously low, especially if the performer in question is not a household name, but those in attendance Tuesday had the chance to sample some truly outstanding playing. Goode’s reputation in this country rests largely on his highly regarded interpretations of Mozart and Beethoven, but it’s evident from the works opening the program—the Preludes and Fugues in F major and B major from Book II of the Well-Tempered Clavier—that he has a keen ear for the finer details of Bach’s solo keyboard pieces as well. He showed a strong preference for inner voices, though never once did he allow this to disrupt the balance or flow of the top and bottom lines. Notable, too, were those moments where he introduced subtle shifts in dynamics and articulation to enliven some of Bach’s denser contrapuntal textures. Although Goode clearly drew on the full range of the modern piano in these performances—witness his rather liberal use of the pedal—the music still managed to sound light, clear, and wonderfully fresh. While some in the audience might have found Goode’s more restrained approach to Chopin a bit unsatisfying, I thought it offered an entirely different way of perceiving and appreciating this music. The three mazurkas Goode chose to start his Chopin set—quite literally, I might add, as he announced from the stage that the ones listed in the program were from the previous evening’s concert—weren’t flashy showpieces by any means, but were rather more intimate, even brooding, examples of the genre. Much as he had done with his Bach interpretations, by focusing our attention on the music rather than on the performer, Goode emphasized the rich interplay of individual melodic lines, and in doing so made an important connection between the two composers. His performance of the Op.54 Scherzo in E major, while not lacking in fire, was also striking for its sharp contrasts. Goode’s 1985 recording of the Schubert Sonata in B flat major was something of a revelation for me when I first encountered it almost two decades ago, and hearing this late masterpiece performed live on Tuesday reminded me why he’s one of its most compelling interpreters. What came through in his reading was not only a deep and abiding concern with lyricism and the lyrical impulse, but also an understanding of how to sustain the composer’s complex musical argument over a long span of time. Very few pianists I know are able to control the large dimensions of Schubert’s last sonata with such ease and grace. 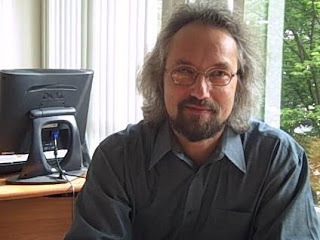 Bob Kingston is a Portland-based musicologist and critic. Members of the Portland Cello Project and the cellists of the Oregon Symphony are teaming up to raise some money for the Obama campaign this Friday at the Someday Lounge. This Friday October 17... with members of the Oregon Symphony? Rock for Barack?! Cell0Bama? This Friday October 17 at The Someday Lounge, we'll jump on stage for a 45 minute set at their Barack Obama benefit. I think all the money goes to Ohio campaign funds or something. We didn't want to get political, but they asked us to play, and we polled ourselves, and every single member of the Portland Cello Project is voting for Barack Obama, so we figured… why not? When cellists at the Oregon Symphony found out we were doing this, some of them asked to join us and we said… sure! As long as you don't mind playing Toxic and Push-It with John Brophy and Ritchie Young (Loch Lomond) singing with us irreverently. Remarkably, and much to their professional credit, they unhesitatingly agreed anyway. You'll be able to tell the regular PCP members apart from the regular OSO members because they'll be wearing tuxes with tails and we'll be wearing hoodies. Sadly Justin Kagan, the only regular PCP and OSO member, won't be playing or we'd make him wear a hoodie with tails. Since Ritchie's going to be there we'll undoubtedly make him play some of his own music with us. And we'll be mostly playing greatest hits: De Falla, maybe some Beethoven, Britney, Salt N Pepa, our Norfolk and Western cover which is my new favorite PCP song. Skip will be there so we'll play Take 5 and maybe Footprints. You name it. Call out requests if you want. Grammy award winning flutist Molly Barth and the Beta Collide ensemble perform at a free concert of new music at the White Stag Building, 70 NW Couch in Portland, on Friday Oct 17 at 8pm. On the program are works by Kurtag, Berio, Carter, Vitiello, Applebaum, Brown, and Harrison/ Performers include Nicholas Isherwood, Justin Kagan, Lisa McWhorter, Phillip Patti, and Beta Collide's founders, Brian McWhorter and Molly Barth. A special feature for the evening is the participation of Astoria-based artist Roger Hayes, who will create a work of art throughout the concert, allowing the audience to see his painting grow as the music progresses throughout the event. The Vancouver Symphony is accepting applications for its 15th annual competition for young musicians. Three finalists get the opportunity to perform as a soloist with the orchestra and cash prizes up to $1,500. "The Vancouver Symphony Orchestra will host its Fifteenth Annual Young Artists Competition in 2009. Local student instrumentalists will vie for a scholarship and a chance to perform with the Vancouver Symphony Orchestra on April 18 and 19, 2009 at Skyview High School Concert Hall in Vancouver. The competition is open to all students 18 years (as of January 1, 2009) or younger in three categories: strings, brass/woodwinds/percussion and piano. Contestants must be currently studying with a music teacher and must reside within a 35-mile radius of Vancouver, Washington. Previous first-place winners of this competition are not eligible. The musical selection shall consist of standard concerto repertoire and must be less than fifteen minutes in length. Professional musicians in each category will select the finalists. Up to nine finalists will perform “concert style” before a panel of judges also comprised of professional musicians. The final competition of the top three finalists in each category will be held February 22, 2009. Applications and information may be obtained by contacting The Vancouver Symphony Orchestra at (360) 735-7278. The deadline for filing of the application and audition tape is January 5, 2009. All applicants will be notified of the preliminary judging decision during the week of February 2, 2009." The Portland Symphonic Choir needs quarters for their offices and large music library. The choir (of which I'm a member) rents space in The Galleria, but that lease is coming to an end. So, the choir is in search of at least 700 square feet of office space in the Portland metro area. It is preferable that the space be close to public transportation. The folks who work in the office will need a space for meetings as well and are willing to share the cost of that with another organization. Co-habiting a suite of offices with another non-profit organization would also be a possibility. If you know of a good place for PSC's new home, please contact Mark Petersen, the choir's general manager at 503-223-1217. The choir has until November 30th to figure out where it's office will be. The Oregon Cultural Trust is sponsoring all sorts of cultural events today in Eugene, Portland, Gresham, Medford, Bend, Hood River, Lincoln City, and Pendleton. One of opera's big guys, Clayton Brainerd, will perform in the upcoming Portland Opera production of "Fidelio." Brainerd has one of the most unusual backgrounds in operaland. As a teenager, he smoked a lot of marijuana and almost flunked out of Cleveland High School. While working in a lumberyard, he suffered a terrible accident and then discovered classical music and opera. Matter of fact, the first music that transfixed him was Beethoven's 9th. There's a lot, lot more to the story, and if you want to read about Brainerd's curious route to his current profession, please read this article that I published in the Seattle Post-Intelligencer a few years ago. "Fidelio" is Beethoven's only opera and it's a great one in which a courageous woman frees her husband, who is being held as a political prisoner. This production features some of the best singers around and the performances should be glorious. 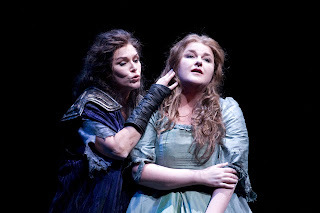 One of the nifty things that Portland Opera has done over the past few years is to features some of the Portland State University grads who have hit the big time. I'm referring to Kelly Nassief, Angela Niederloh, and now Brainerd. Christine Meadows, who is now running the opera program at PSU, was the first PSU music grad to sing with Portland Opera. Extra note: I sang as an extra chorus member the last time that Portland Opera did "Fidelio." That was during the 1979-1980 season. Stefan Minde conducted. 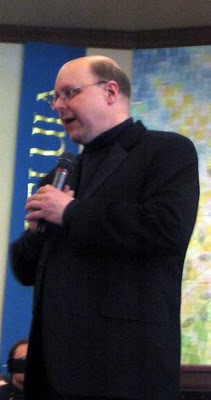 Phil Kelsey was the chorusmaster (he has been the assistant conductor at Seattle Opera since 1990). I think that Brainerd was in the chorus as well. For those of you who are interested in the latest music trends, check out the Portland New Music Society. This group has a performance event on Wednesday, October 8th at 8pm at Jace Gace, a cafe/gallery. Actually, Jace Gace hosts Portland New Music Society events every second Wednesday. Check out the PNMS web site and/or the Jace Gace web site for more information. Oregon Symphony's magazine, "In Symphony," has been freshened up with an appealing new look that gives several short glimpses of the conductors and musicians and what they have been doing. I didn't know, for example, that concertmaster Jun Iwasaki had been featured in the September issue of "The Strad" magazine. Also, there's an interview with Latvian violinist Baiba Skride that makes for a nice preview of her debut with the OSO in November. Since practically no print publication in Portland does artists interviews, this is a real smart piece that may help to entice people to hear her play. The program notes by Elizabeth Schwartz seem to be a little shorter, but I especially like the Vital Stats sidebar, because I can find some all sorts of interesting facts very quickly. There's also an article by president Elaine Calder on the last page the summarizes the Symphony's financial picture and points out the increasing tickets sales for this season. Overall, it seems that the lines of communication from the Symphony are improving. Kudos to Carl Herko and the Symphony's PR team for sprucing up "In Symphony." The storms that blew through on Friday caused some traffic snarls at the freeway off ramps and caused some folks to arrive at the Arlene Schnitzer Concert Hall a little late, but no one in the standing-room-only audience missed a single note from Lang Lang, who gave a superb performance of Rachmaninoff's Second Piano Concerto with the Oregon Symphony. When Lang Lang took the stage (after intermission), he was greeted with thunderous applause and cheering. But that quieted down very quickly when he took his seat at the piano and after a near dead silence began to play the first notes very, very slowly, and from a super pianissimo to a fairly resounding fortissimo when the orchestra joined in. Lang Lang really took expression to the edges - but in a fantastic way - through all three movements of this beautiful and moody piece. He would slow down phrases, give some a feather touch, give others force (but never brutal), and keep it all interesting and engaging. The burst of applause at the end of the first movement only signaled that he had everyone in his grasp. But he didn't create this magical atmosphere all by himself, but orchestra played at the top of its game as well. I heard all sorts of nuanced phrasing from the orchestra - wonderful crescendos and decrescendos - that added to the ebb and flow of Lang Lang's interpretation. Principal flutist David Buck, principal oboist Martin Hebert, principal clarinetist Yoshiori Nakao, and (I think) associate principal horn Joseph Berger had exposed passages with Lang Lang that just shined. The crisp attacks by the orchestra in the third movement were scintillating as well and the joyous finale caused the audience to erupt like champagne that had been shaken. Lang Lang came out three times to cheering that would not stop. He quieted that down by playing a Chopin Etude that was sublimely lyrical and exquisite in every sense. The audience went nuts again, but Lang Lang, after taking his bows and placing his hand over his heart, turned to concertmaster Jun Iwasaki and took his hand and lead him off stage, thus signaling the end to the concert. If he hadn't have done that, he would've been brought out for several more encores for sure. Much has been said about Lang Lang's mannerisms. Andre Previn, for example, detests them. But I have to allow some a little theatrics for an artist who can play so well. Lang Lang did look engage the orchestra by looking at them and once in a while he would make conducting motions with his free hand. The only part I didn't care for was when he turned to the audience while playing, because it seemed to say "look at me!" Of course, the Lang Lang performance was only half of the concert, before intermission, the orchestra played Adams' "The Chairman Dances; Foxtrot for Orchestra" and Bernstein's Symphonic Dances from "West Side Story." The orchestra played at top-tier level in both pieces. The Adams number sort of takes snippets from his opera "Nixon in China." The pulsating rhythms reminded me of the scene in the opera when the presidents plane lands, but it wasn't as heavy. The transitions to the Foxtrot-like passages were smooth as silk, and principal percussionist Niel DePonte expertly applied the brushes to help create a ballroom scene. Kalmar and the orchestra played the Bernstein piece during the 2002 season and made quite an impression, but this time was even better. The orchestra was sharp as all get out. They wonderfully alternated between jaunty and relaxed lyrical passages. The trumpet section, led by principal trumpet Jeffrey Work was snappy and spot on. Principal horn John Cox and the string had a glorious moment -- well it was all pretty incredible and worth hearing again. Kudos to all of the orchestra and Kalmar for making this piece and the entire concert so memorable. Extra note: Ron Quiring, who is on the board of Portland Piano International, told me that Lang Lang played for the PPI's recital series back in 1999 (or thereabouts) and put his autograph on the New York Steinway that belongs to the PPI (the PPI also has a Hamburg Steinway). Last week I talked with Oregon Symphony music director Carlos Kalmar about some of the classical music concerts that they will perform during the first half of the 2008-2009 season. We skipped the Beethoven 9th, becuase I knew that I wouldn't have time to get anything about it posted. So we started with the Lang Lang concert. On October 3, Lang Lang is in town for a special concert that features Rachmaninoff’s Second Piano Concerto, and it’s sold out! Kalmar: With a soloist like that you take what he offers! Because you are very happy that he comes. In our case we got lucky, because in the beginning of the season we need something flashy. We had Van Cliburn last season and that was phenomenal. I assume that this is his first appearance in Oregon although, I’m not totally sure. People out here are still catching on to his career. He is at the very top of the game. End of story. He is the number one pianist among youngsters, and the hot ticket. Also, on the program is played the “The Chairman Dances” by John Adams. The Oregon Symphony hasn’t played it before, has it? Kalmar: I don’t think so, but I’ve conducted this piece before with another orchestra. In my orchestra world, Minimalism is not something that’s I’m looking forward to. Of course, Adams comes from that tradition, but the thing with him that I’ve learning more and more is that this is really fantastic music. I’m not talking about “The Chairman Dances,” I’m talking about his work in general. I’ve conducted his “Transmigration of Souls” many times and I’ve also done several of his other pieces where the fundament is still minimalism but it’s so elaborate and the orchestration is phenomenal. The lyrical part of his writing is so sublime and his music is energetic as well. He’s got the entire package. Kalmar: I conducted that piece with the Oregon Symphony before I became music director and the orchestra at that time sounded different than it does today. So, I’m really looking forward to conducting it again. It’s a great piece. Kalmar: This is an odd program because one half of it is very standard and very well known. That, of course, means the Grieg piece and Smetana’s “The Moldau,” which are well-loved works. And Valentina returns for the Grieg and will give another great performance. The other part of the program is pretty new to listeners here. The Oregon Symphony may have played Ginastera’s “Estancia Suite” sometime in the past, but I know that we are doing Golijov’s “Last Round” and Revueltas “Homage to Federico Garcia Lorca” for the first time. So we have two extremes represented: Northern Europe and South America. I’m happy about the Latino touch because there is so much talent there. Ginastera’s piece should be in the broader repertoire for orchestras. It is very approachable, very muscular. The real deal is to discover the Revueltas’ piece, which is chamber-music like and requires only a small orchestra. The “Last Round” by Golijov requires a lot of phenomenal talent to play. Golijov wrote this piece in memory of Astor Piazzola. It’s not a long work. It consists of two movements. The first is fast paced and has something to do with tango even though it’s not actually a tango. The second movement is lyrical and is like remembering something far away. Golijov wrote this for strings only, and they will be split into two orchestras. The piece originated for two string quartets with one double bass player. Kalmar: I’m really happy about this concert, because we will play Walton’s Symphony No. 1, which is one of the most important pieces of English writing. I have never conducted this work before, so I’m looking forward to it. Baiba Skride is one of the absolute top violinists in the world today. She is from Latvia, has wonderful musicianship and is very professional. I have worked with her once before, and what struck me on top of all her abilities is that her sound quality is quite outstanding. A short piece by Sibelius, his “Scene with Cranes” is also on the program. That’s a wonderful warm-up number, very lyrical, and a great way to start the concert. Kalmar: This concert will be conducted by Christoph Campestrini, who has an Italian name but he’s actually Austrian. He’s a very friendly, quiet, and meticulous guy who has worked with many major orchestras in Europe and has been working in the US, too. He has a vast repertoire. That’s why I could ask him if he would be willing to conduct the “Too Hot Toccata,” by the American composer Aaron Jay Kernis. This is a great fit for this program because it takes you into an American flair in the first half with the jazzy Gershwin “Concert in F.” Both pieces should go well with the Rachmaninoff Symphony No. 3, which is a gorgeous work – almost as large as his second symphony. Kalmar: Another guest conductor, Jean-Marie Zeitouni, will lead this concert. He is from Canada and conducted this last summer at Grant Park. He is a young, versatile conductor who has worked with the Oregon Symphony before but not in a subscription concert. We like him, so we wanted to get him back here. Jennifer Koh is a fantastic artist, and I’ve worked with her before and she has played with us here, too. She will be terrific in the Brahms. Also on the program is Beethoven’s “Egmont’s Overture,” a real gem. Stravinsky’s “Symphony in C” will help to expand the repertoire of our orchestra and let the audience know more about Stravinsky’s works outside of the usual three: the “Firebird,” “The Rite of Spring,” and “Petrushka.” We have explored more and more of his works here, and he wrote so much in so many styles. His works always have a high quality, and I think that it will be rewarding for everyone. Kalmar: We thought that this program might appeal more to families. We usually do something that is related somehow to Christmas, but this time, the shape of the program started off with Stephen Hough, who really wanted to come here to play. He and I work really well together, and he has been exploring all of the Tchaikovsky piano concertos. I think that he is recording all of them right now as well. Tchaikovsky’s Second Piano Concert is just terrific. Everyone forgets about it, because this First Piano Concerto is so very famous. No 2 is longer and more exhausting for the pianist. The slow movement is really a piano trio, because the pianist accompanies the concertmaster and the principal cellist and the orchestra surrounds them. The “Nutcracker” deserves to be heard without the ballet part. This concert will give you the chance to soak up the music. It’s great stuff that we all know and love. And the “Coronation March” is another gem-like piece that is a great number to begin the concert. Thanks for all of your commentary! Kalmar: My pleasure. See you at the Schnitz!